E.g. 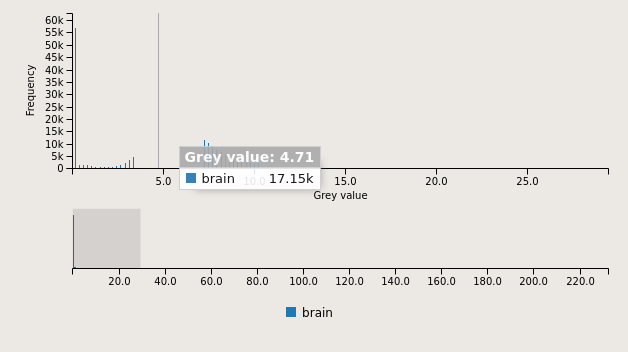 Histogram of brain.nrrd with binSize 0.2 is not visible (>0.25 is visible). Is the histogram data generated properly? Is it a problem with MitkChart/C3js? It seems to be a problem with MitkChart/C3js. If you zoom in and pan around, you can see, that the histogram is actually generated but only parts of it are displayed while the tooltips let you know that the data is there. hentsch added a subscriber: steint. Does not longer occur with plotly.js.